But savor the irony that New York Governor Andrew Cuomo and others are standing up for millionaires. Here is what baffles me: Democrats loudly proclaim that they want to raise taxes on the rich, and then, when somebody eliminates a loophole for the rich, they sue. Go figure. The Republican tax bill is the law for 2018, but some progressives are mounting an insurrection against taxation without . . . loopholes for rich people. As a slogan it’s not the Boston Tea Party, but check out the revealing legal challenge from four states. The GOP tax reform reduced one of the deductions that most benefitted the rich. Before reform, taxpayers could write off all their state and local taxes. This was great for richer taxpayers who itemized. And it was great for state and local governments, which could spend wildly, assured that rich people got a loophole. 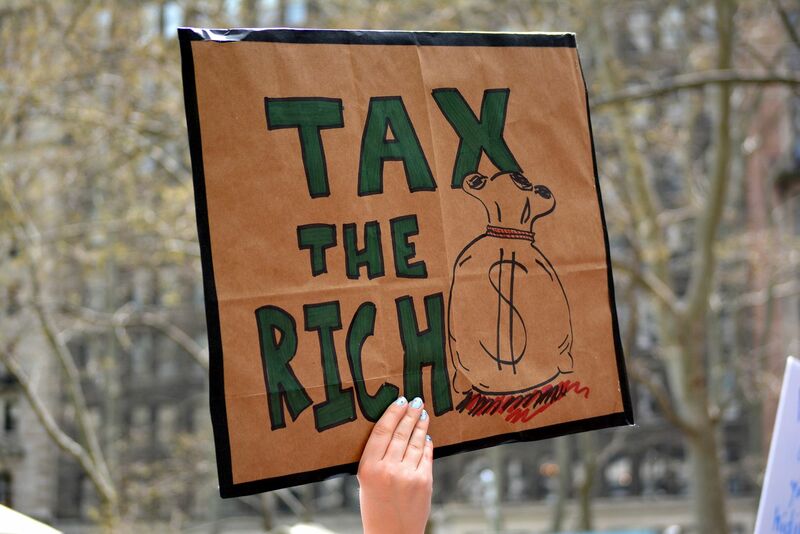 The attorney generals of four very blue states, New York, New Jersey, Connecticut and Maryland, have filed a suit in federal court in Manhattan to protect the rich from higher taxes. The biggest hoot is that the plaintiffs claim tax reform passed “with a bare congressional majority of one party,” as if narrow majorities are unconstitutional. That would have killed ObamaCare, which passed without a vote to spare in the Senate. For all the talk about how progressive states need high taxes for roads and free college, note that they are dumping taxpayer cash into lawsuits that are essentially campaign documents. These states apparently have money to burn. How's that for a blue state slogan?